Lebanese PM Saad Hariri has said he will return to Beirut in the coming days, and will then clarify his shock decision to resign. He quit two weeks ago during a visit to Saudi Arabia, but President Michel Aoun refused to accept the resignation. Mr Hariri denied being held in Riyadh against his will, amid speculation the Saudis had forced him to quit as part of a regional power struggle with Iran. 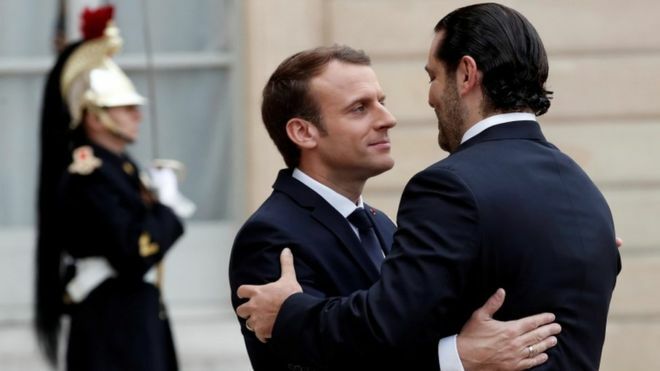 Mr Hariri was speaking after meeting France's president in Paris. Mr Hariri said: "I will go to Beirut in the coming days. I will participate in the independence celebrations, and it is there that I will make known my position on these subjects after meeting President Aoun."